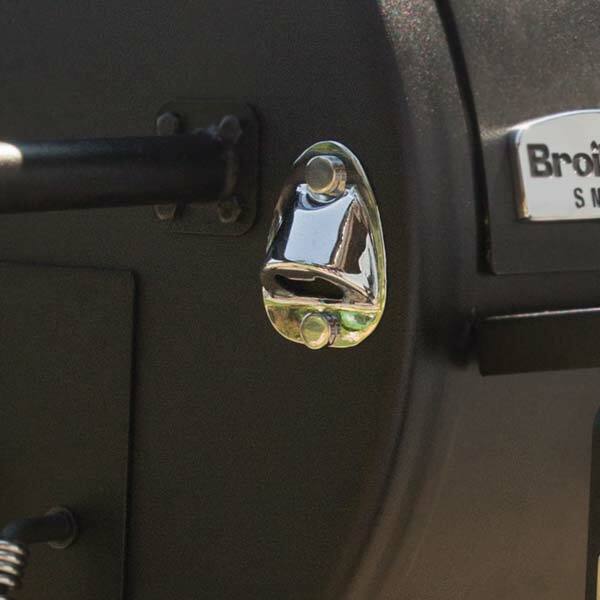 Styled after a traditional southern offset smoker, the well crafted Broil King®offset grill offers the cooking performance of its gas powered siblings. 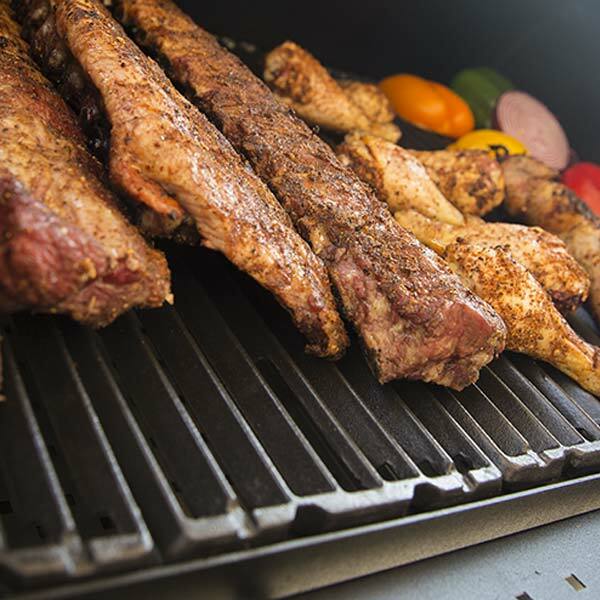 Like the Smoke™ cabinet smokers, the offset grill is designed to meet Broil King®'s high standards. 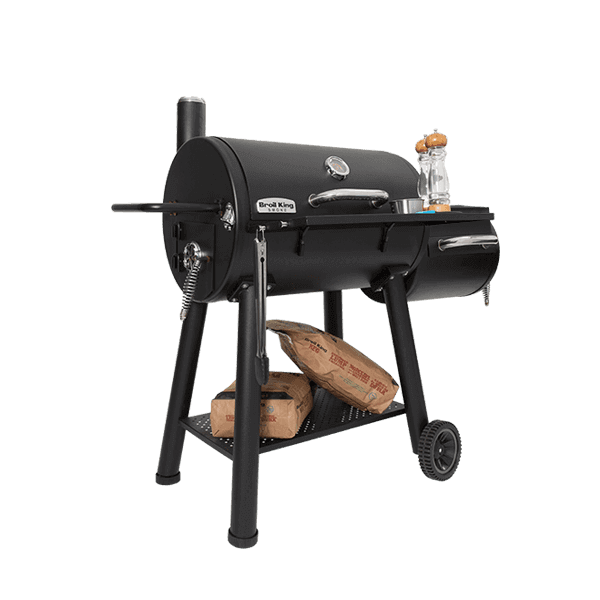 The large cooking chamber provides ample space for low and slow or high temperature charcoal searing; while the offset smoker chamber infuses mouth-watering authentic smoke flavor. Made of cast and coated with porcelain, these grids effortlessly hold heat and are easy to clean. 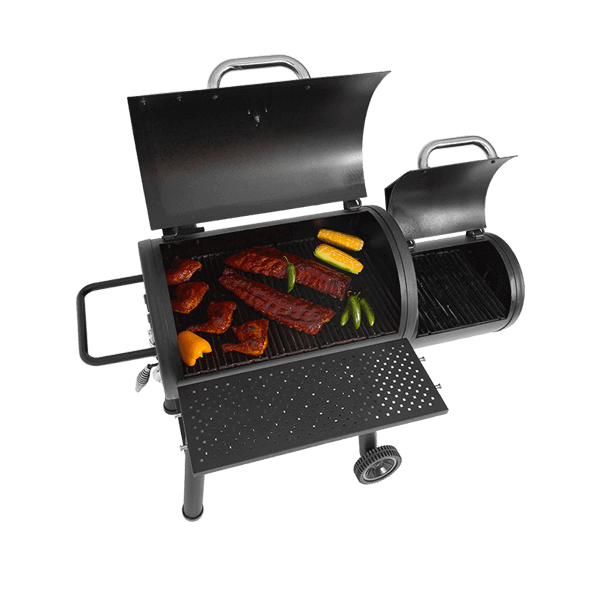 Broil King's offset smoker comes with 2 easy-access charcoal trays located in the larger cooking chamber and charcoal grids in the small chamber. 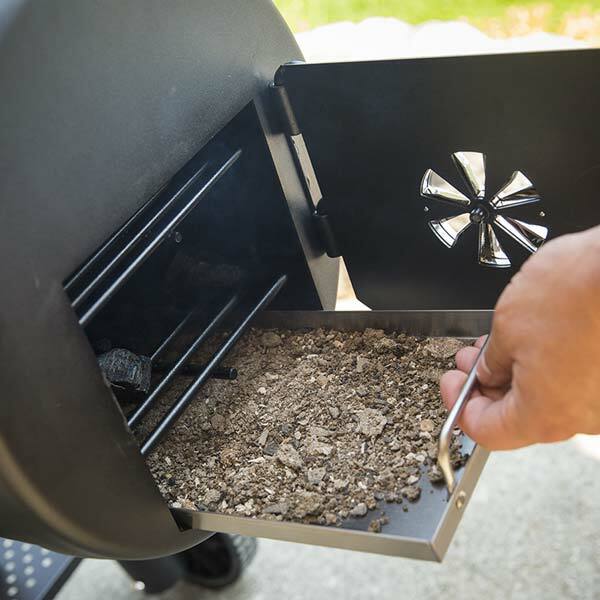 Just add your favorite wood chips or chunks. 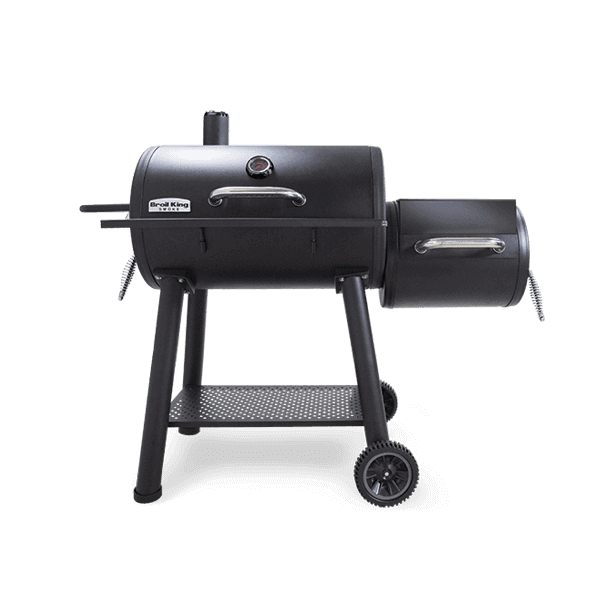 The large front shelf has the ample space to prepare grilled and smoked foods. 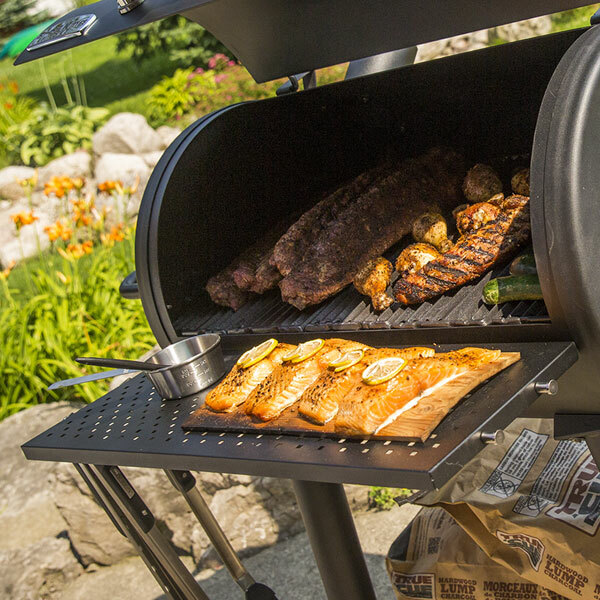 This convenient shelf comes with 4 tool hooks to keep any grilling necessities close at hand. 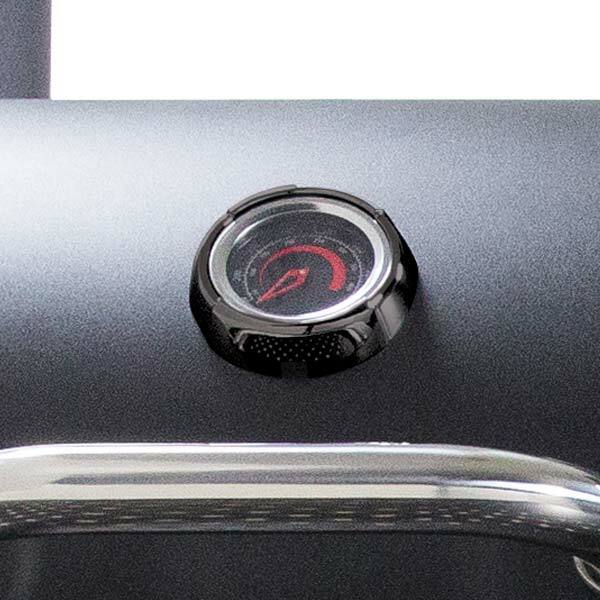 Fully adjustable dampers are made of heavy duty cast aluminium with a stylish chrome coating. 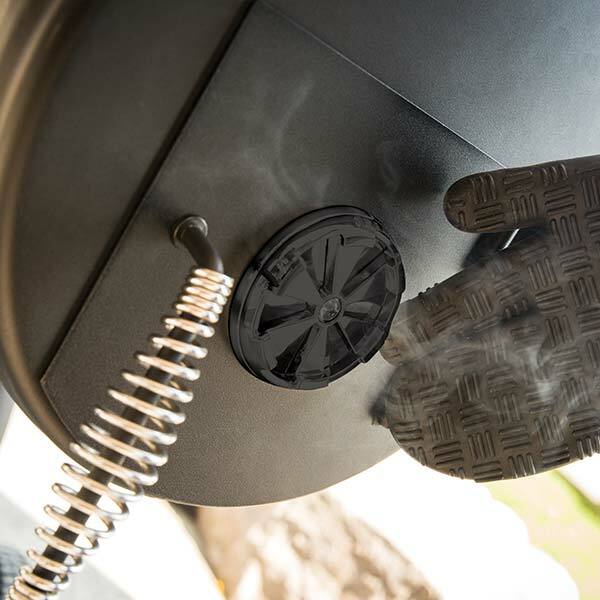 They allow precise cooking by controlling the air flow throughout the cooking chambers. 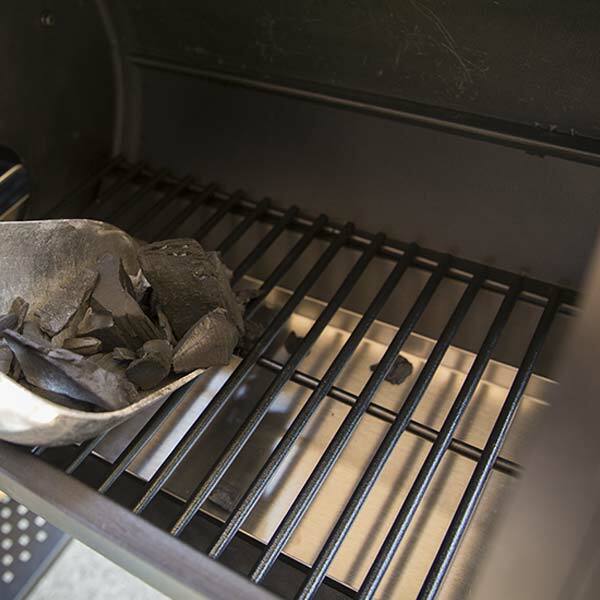 Located in both the large and small smoking chambers; simply open the side door and slide out the tray to quickly and easily remove ash. 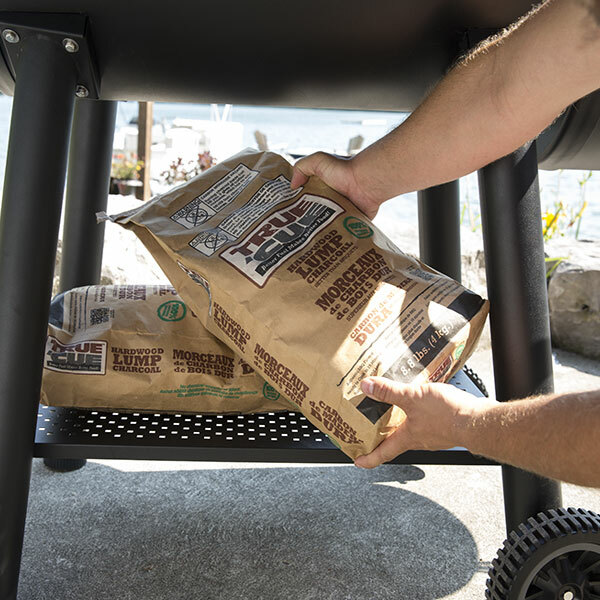 A sturdy lower shelf provides added strength and storage to the smoker cart.